AS I sat down on Sunday afternoon to watch the build up to the EFL Cup final between Manchester United and Southampton, I was amazed by some of the statistics in respect of united manager Jose Mourinho and his star striker Zlatan Ibrahimovic. 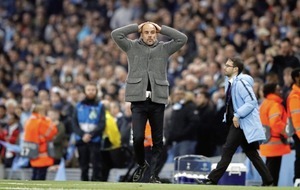 Before Sunday, the man who calls himself ‘the special one’, had managed teams in 12 cup finals in four different countries, claiming victory in an impressive 10. At a sprightly 35 years of age, the Swedish striker has already accumulated 26 goals in his 38 games to date this season for United. Impressive to say the least. But perhaps even more lauding is the feat of scoring more than 20 goals in each and every season for the last 10 years. Sunday was his 19th major trophy. The consistency of what both men have achieved in their careers is truly remarkable. Consistency isn't something we'd associate with the GAA of late, both in the boardroom and on the field of play. So, this week's column starts with GAA congress and the drama surrounding the voting through of the Super 8 proposals. I haven’t hidden the fact that I am not a fan of the Super 8s concept. I see it as being a step that will ultimately prove detrimental for counties outside the top few teams. The statistic that 23 counties have been in All-Ireland quarter-finals since the introduction of the Qualifiers is a weak argument as one-off breakthroughs won’t balance the scales. In any given year, a fairytale story generally emerges. In a one-off game a Tipperary or Fermanagh may have a chance in a novel tie against a Dublin, Mayo or Kerry but by the third game in a round robin they are more likely to be punch drunk and left picking up the pieces of another heavy defeat. If we are left with this format for too long, it is a cert that in a few years’ time, the GAA will be trying to find new ways to readdress just how far behind many football counties have fallen. By then it is likely to be too late. If there can be such a thing as sporting imperialism then this could be it. I feel it is likely that after the three-year trial period, this format will be shelved and replaced with something different. Recent chat of players taking radical strike action in defiance to the change isn’t the answer either. This was voted through democratically by 76% of delegates and only two people spoke out in opposition. The GPA came to the party far too late, complaining about a lack of consultation. Just a little ironic, considering that after having months to consult their membership, they waited until the week of congress, before using a whatsapp message to ask for a simple Yes or No to the proposal. The GPA seem to be struggling with their identity at present, as for the first time ever their membership seem to be more concerned about having equality for all counties and their clubs. That was never what they were about in the past. What is worrying is the serious disconnect that now exists between players, club members, club delegates, county boards, players bodies, and the GAA hierarchy. 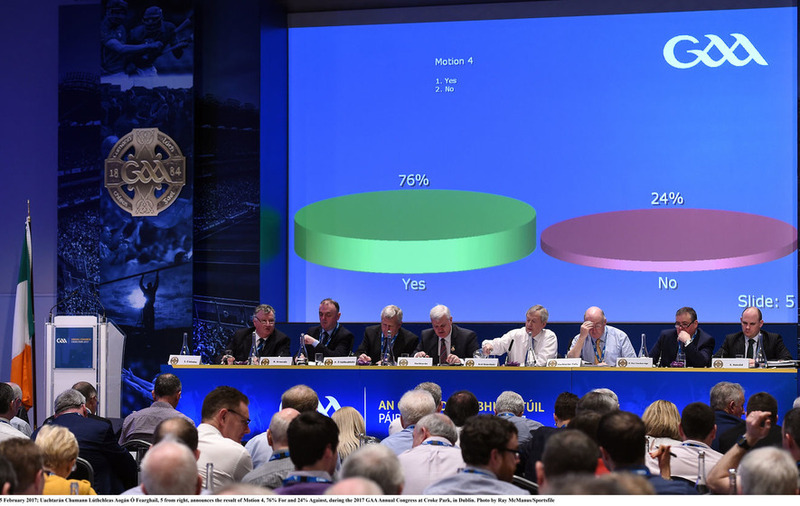 If the grassroots of the GAA genuinely felt the Super 8 proposals would be detrimental to the game then why did delegates go ahead and vote them in? Why did the GPA not undertake a thorough consultation exercise with its members months in advance of Congress? It seems that players are overwhelmingly against the proposals so why then are their guardians (clubs) not listening or taking their views on board? The answer to these questions won’t change the past but they may be important in influencing important decisions to be taken in the future. 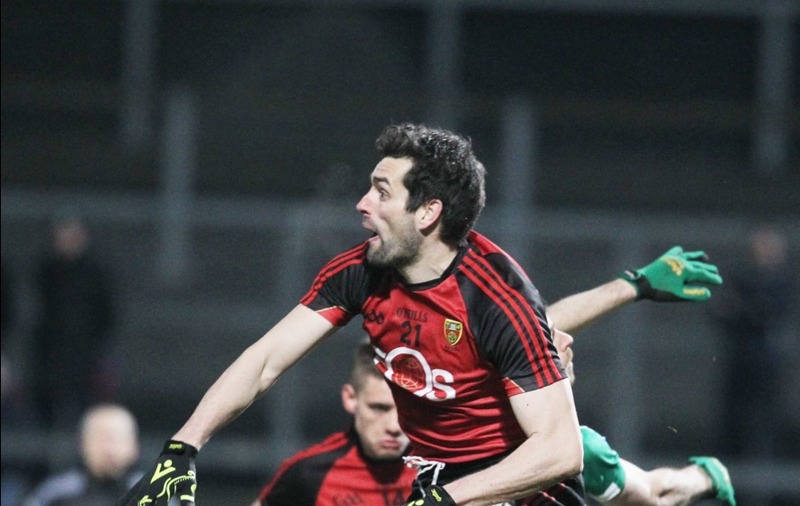 AFTER a disastrous Allianz Football League round a couple of weeks ago, this weekend saw an upsurge in Ulster fortunes with great wins for Antrim, Derry, Down, Armagh Monaghan and a commendable draw for Donegal against the Dubs. You can always tell what fight and spirit is within a group by how they perform when they are already on their knees. Antrim and Down players and management deserve great credit for the way they responded this week, giving a glimmer of hope that they may just have a chance in staying up in their respective divisions. I was impressed by the way Down went about their business against Meath to get their first win in a very long time – so credit where credit is due as they have taken quite a hammering in recent times. 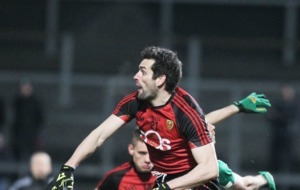 Critical to this improved performance was that the starting team was closer to their strongest line-up with the Kilcoo contingent and Kevin McKernan making a big difference. Defensively they were better organised; physically they looked more aggressive and better disciplined in the tackle and the ball was moved with more pace and purpose. Caolan Mooney really impressed me with his pace and energy on the ball which was a real catalyst for so many attacks. Meath were a little one dimensional and predictable in their approach, but Down had prepared well to deal with the bombardment of high ball that would come on top of big Brian Sheridan. They always had the covering defenders there to suffocate his presence and mop up any spillage. Another victory that caught the eye was Monaghan going down to Kerry to get the two points. Not many teams do that. Away wins to Mayo and now Kerry mightn’t mean an awful lot come the heat of the summer, but in the meantime it is a sign that Malachy O’Rourke’s team are building nicely ahead of championship. THE last few lines in today’s column go to an Irish News contributor whom I believe to be an old flame of mine. 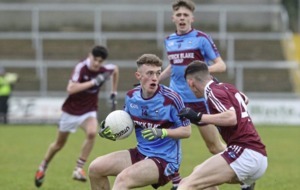 'Mary from Magherafelt' wrote into last Thursday’s Off The Fence calling into question my analysis of the Slaughtneil v St Vincent's game, where I criticised Diarmuid Connolly’s lack of work rate and tackling. It is important to stress, as Brendan Crossan rightly pointed out in his response, back in the day I was a very fine tackler myself - as Mary should know – so my judgement does come with credentials. Not only do I call into question the legitimacy of her argument but I would also query her motivation for pointing these perceived flaws in my critique.